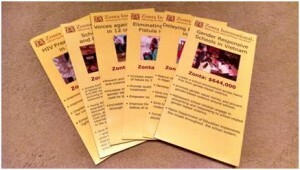 Booth-in-a-Box is a starter kit for clubs to use to set up displays at various events to advertize Zonta. 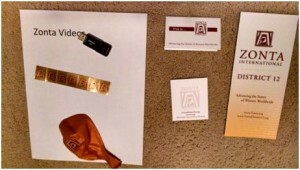 Each Area Director has a box to share with clubs in their area. The D12 PR chair can be contacted for restocking the boxes or clubs can order many items from the Zonta International or D12 websites. 4. Form for people to sign up to receive more information: events, newsletters, membership application, etc.